While Walmart is not known for its high-skills, high-paying jobs, it certainly gives away a lot of money to college students who strive to get that type of work. In 2009, the Walmart Foundation gave more than $53 million to fund educational programs nationwide, and it awarded more than $9 million in academic scholarships in the 2010-11 school year. The money is distributed to a wide swath of people, from WalMart employees and their dependents to needy teachers and college students with no connections to the company. "And our giving continues to increase," says Walmart Foundation spokesperson Kelly Cheeseman. "It's a big focus for our foundation." Walmart Associate Scholarship. 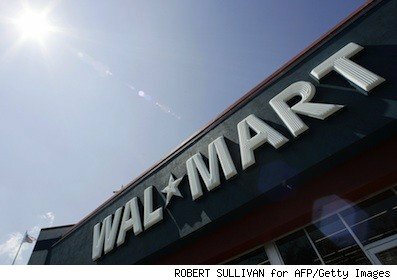 Formerly known as the Higher Reach Scholarship, this program just got a name change to show that it's offered to all Walmart employees. Besides funding workers pursuing associate and bachelor degrees, the scholarship also is available to employees participating in Walmart's new online college program, the Lifelong Learning Program offered through American Public University. The Foundation accepts and awards these scholarships four times a year, on Dec. 1, March 1, June 1 and Sept. 1. Walmart Dependent Scholarship. This $3,000 scholarship, formerly named the Walmart Association Scholarship, is currently under revision. Cheeseman says it was originally for Walmart and Sam's Club employees and their dependents who wanted to go back to school, and now it's being broadened to include those who are just graduating from high school as well. Minimum GPA of 2.5 is required. Check the website on Nov. 1 for details. Walton Family Foundation Scholarship. This $13,000 scholarship is paid out over four years, and is specifically targeted for dependents of Walmart and Sam's Club employees who have a SAT score of at least 1030 and prove financial need. Details for for next year's scholarship, awarded next summer, will be online in November. Sam Walton Community Scholarship. This $3,000 scholarship is available to anyone who applies and has a minimum GPA of 2.5. Information for how to apply for next year's scholarship, awarded next summer, will be online in November. For students already in college and struggling to afford it, Walmart gives money to the Dreamkeepers Emergency Financial Assistance Program, run by Scholarship America. The program helps community colleges keep low-income students from dropping out of school by giving them emergency financial aid. The average grant is $523 per student. Besides students, Walmart gives financial help to teachers, too through its Teacher Rewards Program. Because the average teacher spends $500 in out-of-pocket costs for classroom supplies, Walmart gives them $100 gift cards to purchase the supplies in its stores or on its website. This year, Walmart gave the cards to 45,000 teachers, totaling $4.5 million.